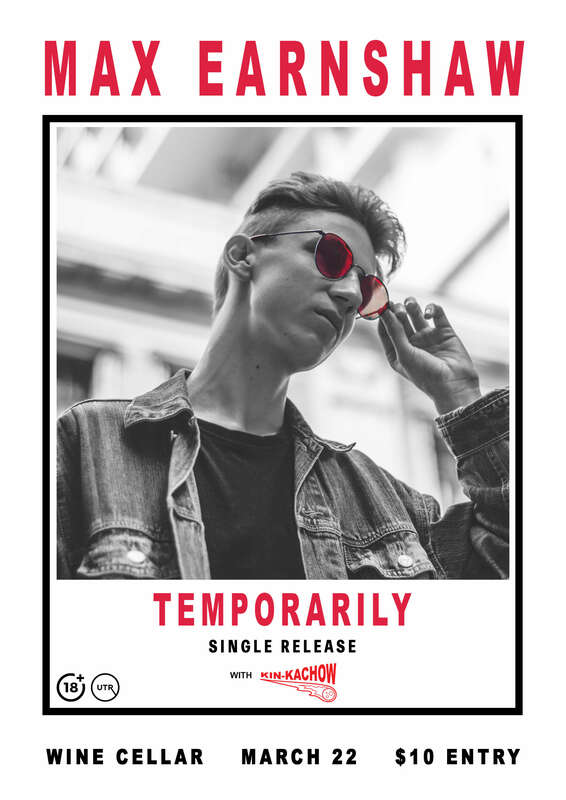 Pop/rock heart-throb, Max Earnshaw, is releasing his highly anticipated debut single - Temporarily. Max combines his love for upbeat music and astute lyrics with his punchy live band. With support from the newly rebranded Kin-Kachow (previously known as Apollo), this will be that night to tell your grandkids about! The single will be coming to all platforms on the same night, so come and celebrate by singing and dancing the night away!